We offer state-of-the art testing technology with scientifically based validity of effort tests and quick turn around times for reporting. technology. Our FCE’s assess an individual’s abilities to perform a variety of tasks such as post-disability job duties, activities of daily living and return to work abilities. Our FCE’s are useful tools, which provide peer-reviewed and evidenced based information to assist you in determining loss of function, future cost of care, job task performance as well as determining long term management for individual suffering with Fibromyalgia and Chronic Fatigue Syndrome. Getting hurt in the job is a terrible thing. Anything that can impede your ability to earn a living wage and support your family causes a great deal of stress. Debilitating illness or injury can affect your ability to work. In the cases of a workplace injury, functional capacity evaluations (or FCE’s) are used in most cases to determine an employee’s physical capability. The FCE is helpful in helping everyone involved in your recovery – you, your employer, and your medical/paramedical team – better understand the duration of your time-off and the types of duties you will be able to perform. Many employers require a FCE be performed prior to returning to work. Do You Need a FCE? There are a number of situations in which an FCE could be applicable. Your case is very important to us. When it comes to FCE’s, you can trust our team of kinesiologists to provide you with a thorough examination. In the case of doctor referral, we will have your medical records and supplementary materials (x-rays, etc.) provided. Otherwise, please bring those records at the time of your evaluation. A typical FCE takes between 3-5 hours but can sometimes last longer. During the evaluation, the examinee will be required to complete our intake questionnaires and then be asked to perform a variety of activities to determine functional status. Each testing protocol is demonstrated using safe and proper biomechanics by the assessor prior to each test. After the evaluation is completed, the data will be reviewed by the assessor and compiled into a detailed report as it pertains to the requests of each client. Your case is very important to us. 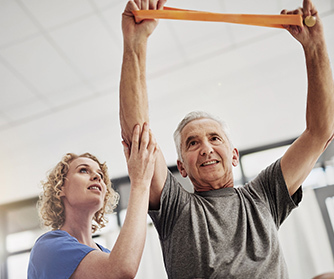 When it comes to FCE’s, you can trust our team of physical therapists to provide you with a thorough examination. A typical FCE takes 90 minutes from the time you arrive. During the exam, you will be asked to perform a series of stretches, exercises, and functional movements (such as picking up an object and placing it on a shelf). After the initial exam complete, a series of tests will be run to measure different aspects of your physical ability. The results of each test are compiled into a report which is submitted to your employer and/or the appropriate proper governing body.